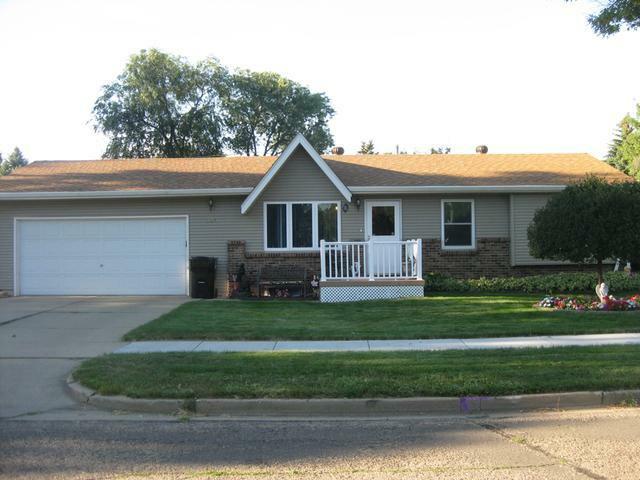 Welcome home to this beautiful ranch style home conveniently located close to shopping, schools and restaurants. The main floor has an OPEN CONCEPT kitchen, living and dining room with new cabinets and a peninsula. You will also find two bedrooms and an updated full bath on the main floor. But wait...this floor also has a BONUS room, added in 2008, with a bar and plenty of room for entertaining. You could use this as a family room or bring in a pool table. Off this bonus room is a MAINTENANCE FREE DECK and a fully FENCED yard with a garden area and an apple tree. Downstairs you will find a family room, laundry area, full bath and two non-conforming bedrooms. This well maintained home has new windows, STEEL SIDING and a double attached garage, a SHED and an extra concrete pad in the backyard perfect for an above ground pool or dog kennel.